I cannot praise LINGsCARS.com highly enough for her efficient and professional service. I had originally seen Ling on Dragons Den and originally was concerned that all the transaction was carried out by e-mail but I need not have worried as Ling and her staff kept me fully advised from beginning to end of my Audi A5 Coupe order. From my first enquiry there service was second to none offering me several alternatives until finally I came to a decision and from then on I was kept fully informed of all stages of the order. Nothing was too much trouble and the whole transaction went through so smoothly without any stress to myself and the end result was a very happy customer. I would strongly recommend Ling to all my family and friends and I like to think that I can contact them at any time if I had a query. 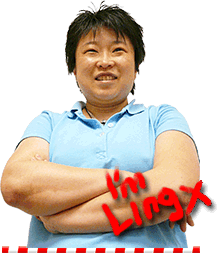 I think of Ling and her staff as friends and would not hesitate to use the company again. You will not be disappointed with LINGsCARS.